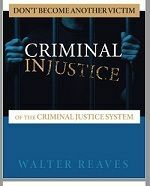 Waco, TX Criminal Defense Lawyer | DWI, Drugs, Assault, Theft, Appeals | Law Office of Walter M. Reaves, Jr., P.C. The recently published New York Times article "Blood Will Tell", describes our multi-year effort to re-open the case of The State vs Joe Bryan. Read the article to get a "behind the scene" view of how the justice system works, and what we have done to get the case back into court. Looking back, I was destined to become a criminal defense lawyer from the beginning. Long before I became a lawyer I had a desire to see that everyone is treated fairly and got upset over what I saw as injustice. I think that seed was first planted when I read about the way we treated other races, and the second class citizenship they had, and struggled to understand how anyone could condone that (something I still can't comprehend or understand). In my teenage years, I veered to the far left on social issues, which drove my conservative father crazy. I thought he was going to have a heart attack when I told him I wanted to work for the American Civil Liberties Union. I never did that, but around my second year in college, I realized that I wanted to go to law school so I would be able to fight for justice through the legal system. I was fortunate to clerk for an older lawyer when I was in law school who did some criminal defense work. I quickly discovered that I loved this area of law; it gave me an opportunity to utilize my passion for justice. When I graduated from law school I didn't follow the traditional path of most criminal defense lawyers. That means I didn't go to work for a District Attorney's office; I couldn't see myself representing the State against the individual. Instead of going to the District Attorney's office, I opened my own office. My first trial was within a couple of months of being licensed. I represented a couple of skydivers who had been charged with criminal trespass after skydiving off a skyscraper. Not only did I win the case, I was mentioned in a magazine article about the case. I was hooked, and slowly started handling criminal cases, and that soon was my primary practice area. I became Board Certified in Criminal Law as soon as I could, which was after I had been in practice for 5 years. When it became available, I also became certified in Criminal Appellate law. It's now been over 35 years; over those years I have had the privilege of helping hundreds of people who have been accused of crimes. In doing so, I’ve developed a statewide reputation by working with organizations across the State, as well as writing and speaking at continuing legal education programs. I am also one of the few lawyers in Texas with membership in the Academy of Forensic Sciences, which allows me to stay up to date on the ways science is being used in the criminal justice system. In addition to Board certified, I also have the highest rating given by the two national ranking systems, Martindale-Hubbell, and Avvo, and in the case of the 5.0 AV rating from Martindale-Hubbell, have maintained that ranking for over 20 years. Who is going to take care of my family if I go to jail? Am I going to get kicked out of school? Is this going to ruin my chances for a career? How important is it to hire a good lawyer? Am I going to be able to afford a lawyer? What happens if I hire the wrong lawyer? These are all important questions. Too many people rush into the decision to hire an attorney. They do so without knowing how to select an attorney, and often make their decision on price. The end result is that they often make the wrong decision. Unfortunately, they usually don’t realize the mistake they’ve made until it’s too late. YOUR FUTURE IS AT STAKE - DON'T MAKE THE WRONG CHOICE. Most people have never had to hire a lawyer before. They have no idea what to look for, or what questions to ask. The internet is full of hype; every lawyer is “tough”, “aggressive”, “caring” and will “work hard for you “. No lawyer looks bad on the internet, so selecting a lawyer can be overwhelming unless you know what to look for. The decision on who you hire is the most important decision you will make and may determine the ultimate outcome of your case. It’s not something you should rush into. Instead, you need to take your time and make an informed decision. The question is how you do that since most people have no experience in hiring a lawyer. If they have used a lawyer before, it was probably on something completely unrelated to criminal law. I believe one of the most important factors you should look for is why the lawyer chose to go into criminal law; which is something that's seldom talked about on websites. You want someone committed to seeking justice, and not someone simply trying to earn a living. Every week there are stories about innocent people who have spent years in prison for something they didn’t do. Even if you’re guilty, that should concern you because it shows the system doesn’t work the way it is supposed to. These cases are learning experiences, which few lawyers take advantage of. Not only can you learn what to avoid, you can also find new ways to prove innocence. I have been personally involved with many of those cases through my work with the Innocence Project of Texas. I’ve seen first hand what can go wrong when lawyers are unprepared or don’t take their job seriously. I’ve also seen new approaches to prove innocence, many of which involve the use of science and forensics. I bring that information to each case I handle, to ensure that each client receives the best possible representation. WHAT TYPE OF CRIMINAL CASES DO WE HANDLE? In addition to trying cases, I also handle post-conviction appeals (which includes writs of habeas corpus), expunction and non-disclosure, and I'm one of the few lawyers in this area who handles cases both at trial and on appeal. In addition to being board certified in criminal law, I’m also Board Certified in Criminal Appellate Law. As a result of that experience, I understand what works and what doesn’t work, and am able to identify all the issues that may be important in your case. You can’t afford to sit around and ignore your problem; it’s not going away, and it’s not going to get any better. Many issues can be time-sensitive, so it is essential that you contact a criminal defense attorney right away. The sooner you get a lawyer on your side, the better off you will be. This is not something you can handle on your own, so take steps now to secure your future. DON'T WAIT A MINUTE LONGER; call 254-296-0020 and ask for a free consultation, or fill out our contact form. We also have a No Hassle Hiring Process if you can't get away to schedule an appointment. We can take care of everything over the phone, and minimize the time you have to be away from your home and job. Go here and find out more. Get the information you need to make good decisions about your case. All these books are absolutely free - and available immediately. Download your copy now. 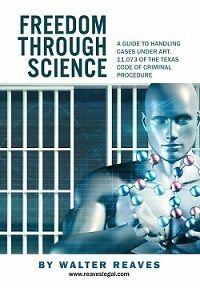 Waco, TX attorney Walter Reaves is a member of the American Academy of Forensic Sciences and details how science can make or break your criminal case. Innocent people are convicted, and the justice system doesn't always treat everyone fairly. Find out how that happens, so you can avoid becoming a victim. 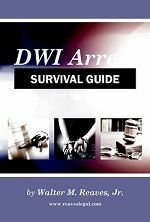 You can win your Waco DWI case. Learn about the "guiilt myth" and learn how you can attack breath and blood tests.